Anastasija Sevastova comes from the small port city of Liepaja, which in Latvia is known as the ‘City where the wind is born.’ On a muggy afternoon at the US Open, she didn’t quite blow away defending champion Sloane Stephens as much as she stifled her. The Latvian had no apparent power or pace, but she had the touch and variety to smother Stephens’ game. 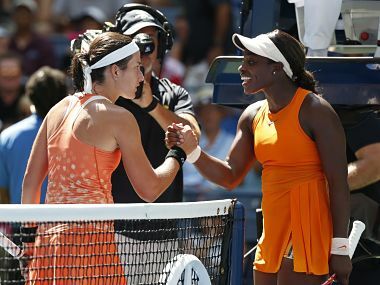 As the mercury rose above 37 degree Celsius at the barely-filled Arthur Ashe Stadium and the humidity sapped energy, Sevastova tightened the noose around Stephens. The drop shot proved to be the Latvian's most effective weapon on Tuesday as she took out the American 6-2, 6-3 in an hour and 24 minutes. As the reigning champion, the spotlight was brighter on Stephens at this tournament – her home Slam. The 25-year-old had, last year, shrugged off a long injury layoff to win the title in 2017. Even though she stumbled elsewhere, Stephens could take solace in her US Open triumph. Her season was building up towards the last Slam of the season. At the US Open, she seemed to be cruising after having squeezed out of a tight spot in the second round against Anhelina Kalinina, winning 4-6, 7-5, 6-2. But Sevastova gave her little room to breathe, let alone escape in the last-eight encounter. Playing in her third straight quarterfinals at the US Open – she had lost at that stage the previous two editions—the 28-year-old Sevastova looked primed for the big stage. Rather than letting Stephens get into her rallying, counter-punching rhythm, she constantly changed the pace and spin on the ball. Her unpredictability meant that the American was often caught out of position, left to play catch-up to Sevastova’s quick hands and whizzing brain. Though she never really lost command of the match, Sevastova’s body language suggested otherwise. The petite Latvian was seen constantly frowning and mumbling to her box. Perhaps, the defeat to Stephens at the US Open last year still haunted her. Sevastova had gone down to the American 6-3, 3-6, 7-6 in the last eight in 2017. The Latvian, already 4-2 up, finished off the opening set by winning eight of the last nine points. Even though Stephens put up some resistance in the second set, clawing back from 2-1 and 4-1 down, she couldn’t quite shake Sevastova off. The American’s US Open title defence finished with a tame forehand error. 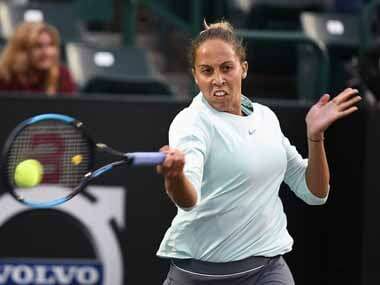 It was Stephens' less-heralded Latvian opponent who has been taking her opportunities in New York. Sevastova now has broken her opponents’ serve 28 times in her five matches at the US Open. 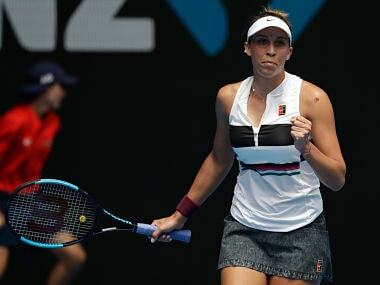 Given a second chance at tennis, she is making most of it. She had prematurely retired from the game in 2013 owing to recurring back and muscle injuries. But having returned to tennis in 2015, Sevastova has risen steadily through the ranks and is currently ranked No 18 in the world. On Tuesday, she advanced to her first Grand Slam semi-final. As endearing as Sevastova’s comeback story is, she faces probably the toughest prospect in women’s tennis: Serena Williams. The two will square off in the semi-finals on Thursday, with the 23-time major champion Williams starting as the firm favourite.